Deeply textured oil and mixed media on canvas. 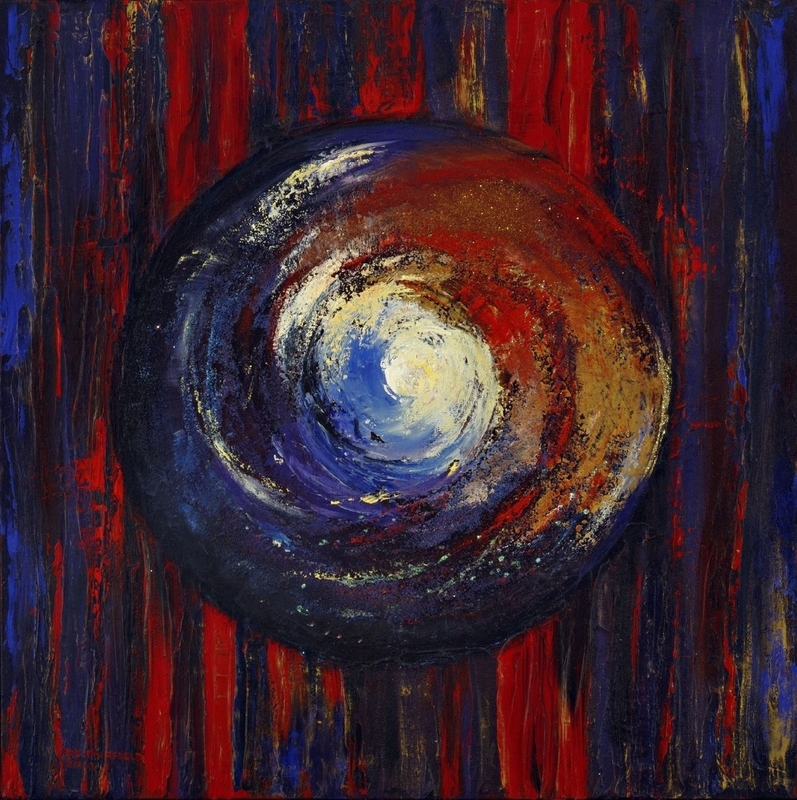 The sphere is embedded with swirls of colored light-reflecting elements and texture. The blue, purple and red curtain-like background represents the curtains in the Old Testament tabernacle which God instructed to be of those colors. The painting is entitled "The Promise" based on God's promise in II Chronicles 7:16 where He says His eyes, His heart and His name will always be in the temple. The sphere is a contemporary representation of His eye, heart and name.